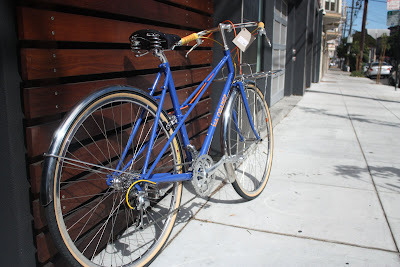 The Path Less Pedaled blog has a nice post about visiting Velo Orange. As you may remember, Russ and Laura dropped by our shop a couple of weeks ago. 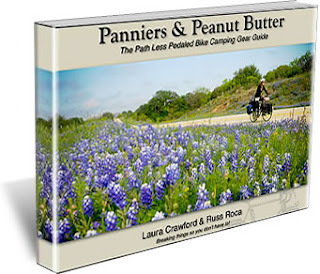 Panniers & Peanut Butter is 75 pages long and goes way beyond a simple list of our stuff, or even a technical look at the pros and cons of different items. It’s chock-full of photos, tips, stories, lessons - and probably everything you could want to know about all of our gear. Tom, Robert, Perry, and I will be at Interbike this week. Interbike is the biggest bike show in America. Thousands of bike shop owners and distributor's representatives attend. 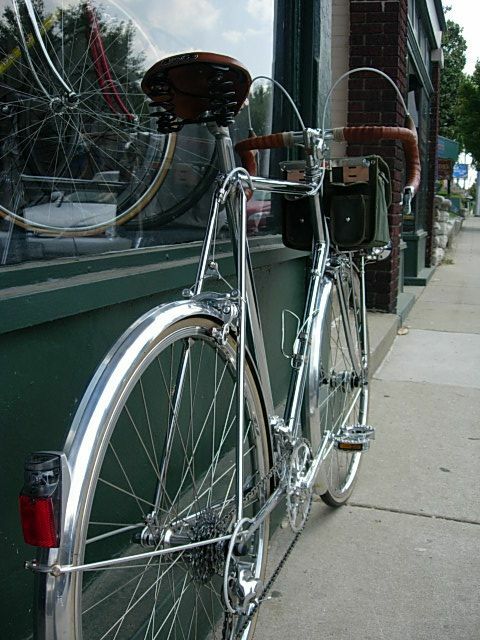 So do most of the bike and component manufacturers. It is trade only, so not open to the public. We have a 20 x 20 booth; number 1531. Please drop by if you attend, or ask the guys from your local bike shop to visit us. We'll have some cool pre-production samples of new rims, cranks, hubs, and other prototypes. We'll also have most of our existing components on display. Box Dog Bikes in San Francisco stocks a lot of VO parts. They also do very nice builds on our frames, like the Rando and Mixte above. Drop by if you're in the Bay Area. Russ and Laura are on an open ended and long term bike tour. They dropped by VO world headquarters today. 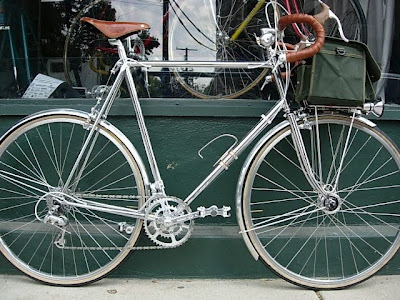 You may know Russ as the author of the excellent Epicurean Cyclist blog. 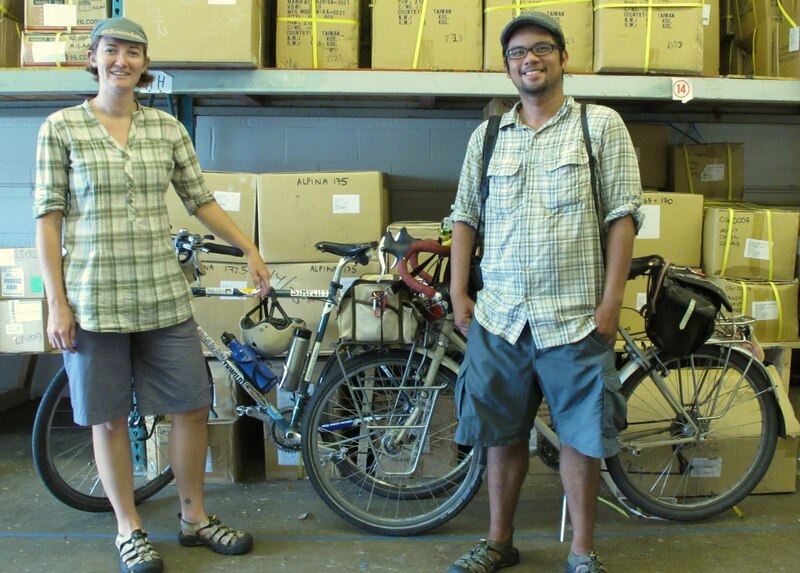 Their trip is documented on The Path Less Pedaled blog, which is also well worth reading. 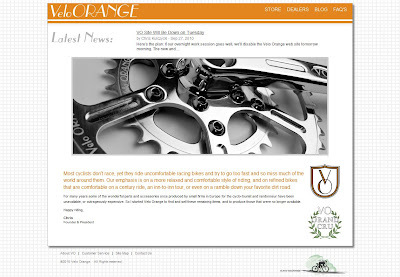 Laura creates handcrafted jewelry & bike accessories. Check out her work at the Tangerine Treehouse. Fyxomatosis is a strange and wonderful shop in Australia. 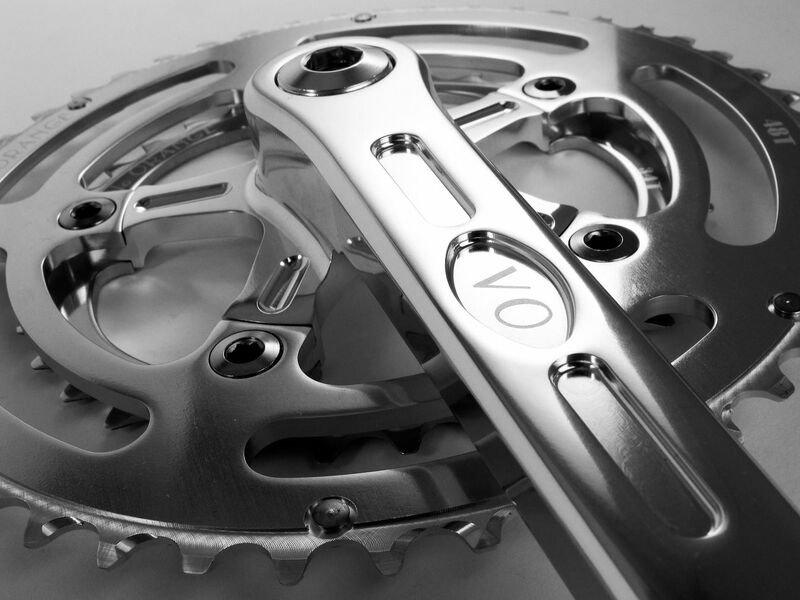 They make chain rings and build cool bikes with some VO components. 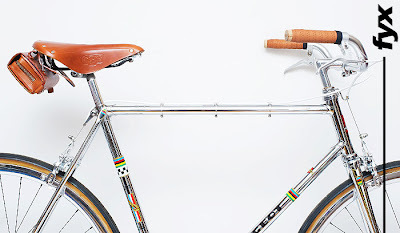 They also have some classic Italian parts. 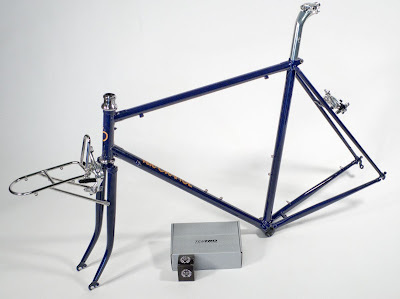 Here is the new Rando mini-build kit. The price is $795. And any other components ordered at the same time are 10% off. This is a limited time offer, when our existing stock of frames starts to run low it will be discontinued. The VO Mixte Build Kit is finally available. The cost is $595. The mixte frames will not be re-ordered for 2011, so get them while they last. BTW, the reason for not re-ordering mixtes is that we're having a bit of a warehouse space crisis and we need to cut down on bulky items like frames. We are looking for more warehouse space in our neighborhood or, perhaps, a bigger building to house VO World headquarters when our lease expires. 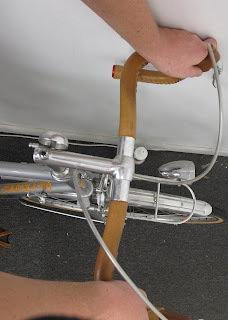 I think we'll also skip the fillet brazed frame project for now. 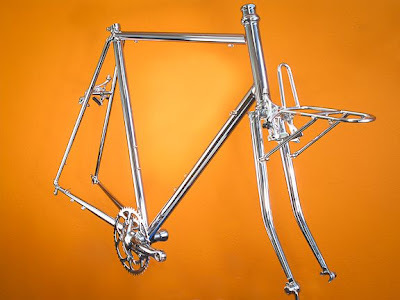 This is a prototype fillet brazed rando frame. Our frame factory has two craftsmen who are skilled at fillet brazing, one is the president. 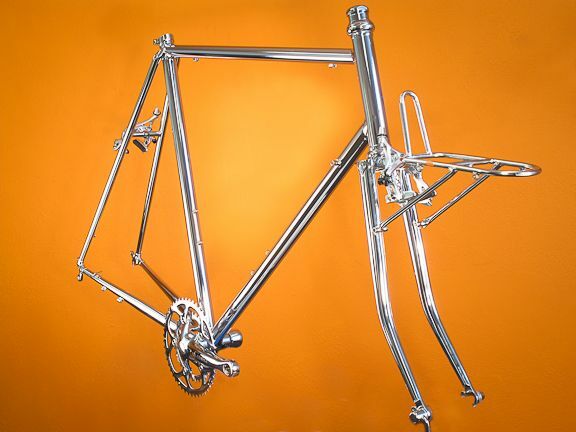 We're exploring the possibility of offering a very limited production run of these frames, maybe 25 frames. 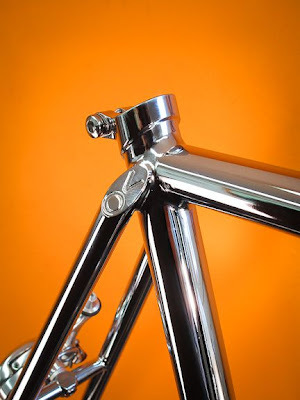 It has geometry like the current Rando frame, but it will have an upgraded fork with a nicer bend. The cost would be about $1200. If you want a the un-ridden 61cm prototype in the photos it's available. The price, as shown (with chrome headset, crank, rack, BB, and brakes) is $1200. 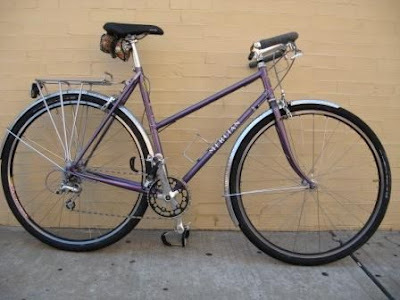 I had intended to build it up for myself, but I have too many bikes already. 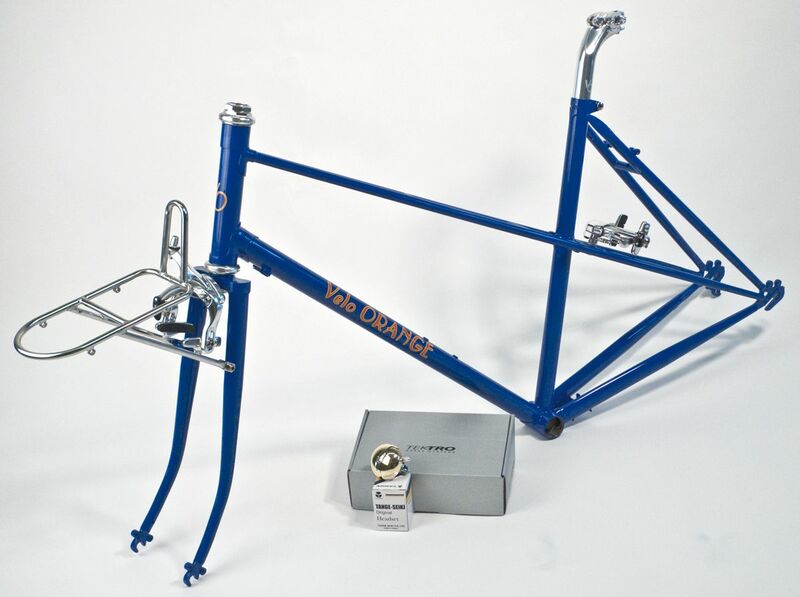 Update: The prototype frame is sold. 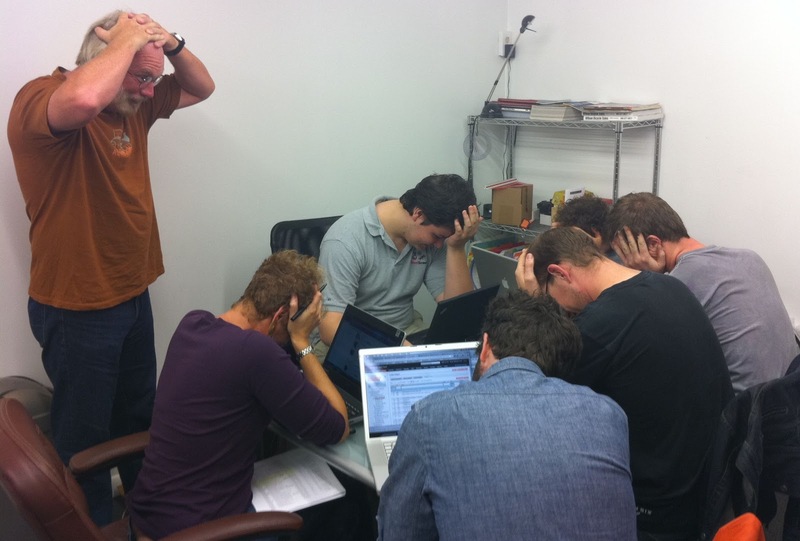 It went right after we posted it on the site. Photos of some really neat bikes found their way into our in-box this week. 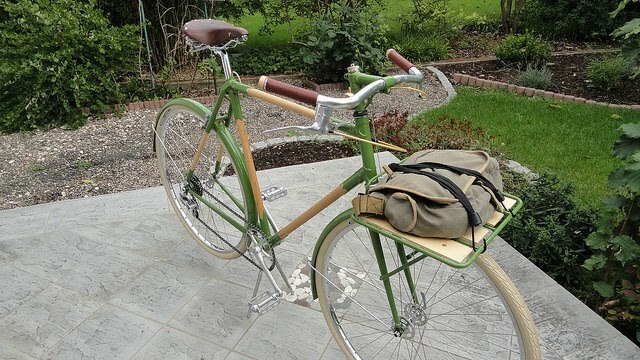 Andrew's wood porteur is really beautiful. More images on Flicker. 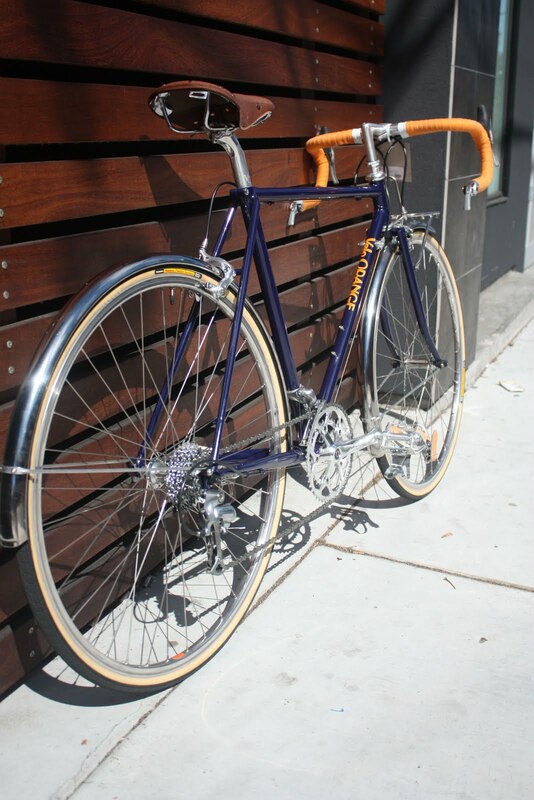 It's really a sweet build, and I want to know more about the frame. 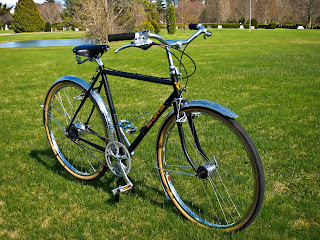 I'd like to share photos of my 1981 Schwinn Voyageur 11.8 with you as your site and products were inspirational in outfitting the bike to my liking over the past year or so. 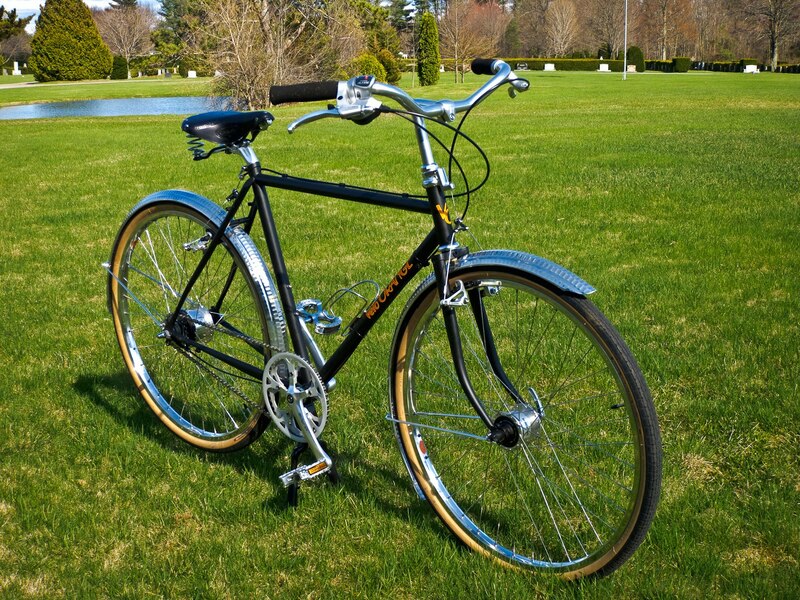 Additional thanks to my local VO dealer, Vic's Classic Bikes. 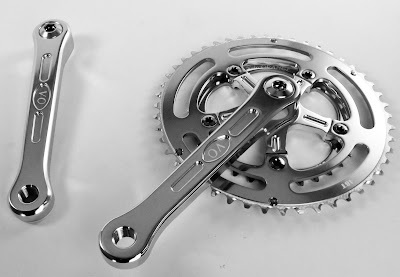 The Grand Cru crank is arguably the pièce de résistance. I installed it yesterday. 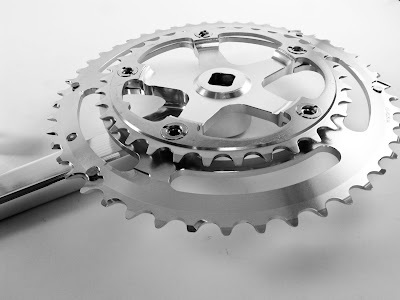 On the lowest two or three sprockets, however, the chain just nicks the inside of the crank arm. I'll have to install a spacer. Note that I did order the 118mm Grand Cru BB as recommended, but it's not wide enough to accommodate the 8 speed SRAM cassette. 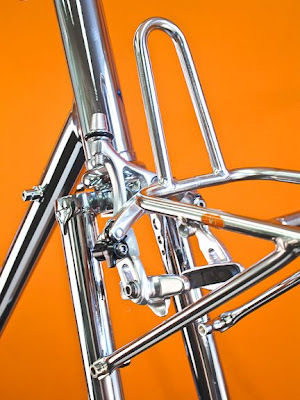 SS housing (I had to use brake housing for under-bar wrap shifter routing as this is a tall frame). The only part original to the bike is the headset. If the size/configuration looks a bit odd it's because I have long legs and limited movement in my lower back from multiple vertebrae fusions. 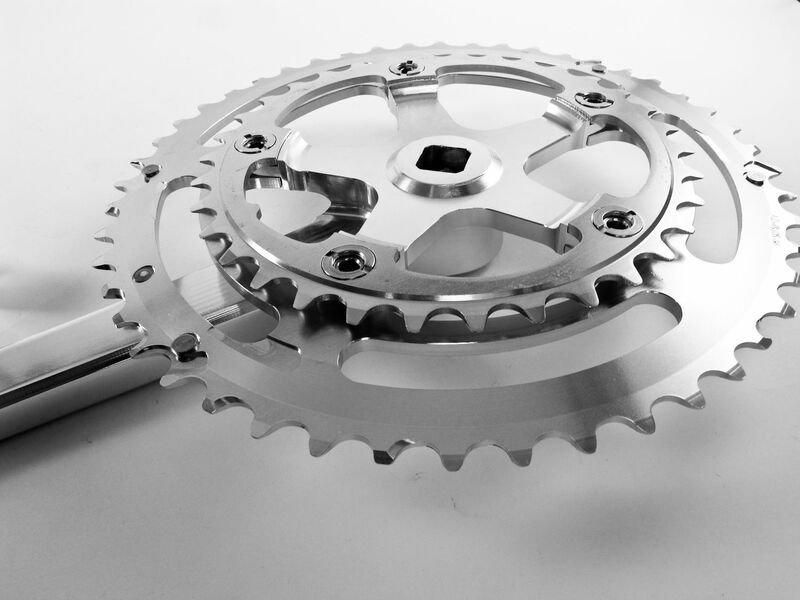 Also note that the Ultegra triple FD is too wide for this crank on my bike. 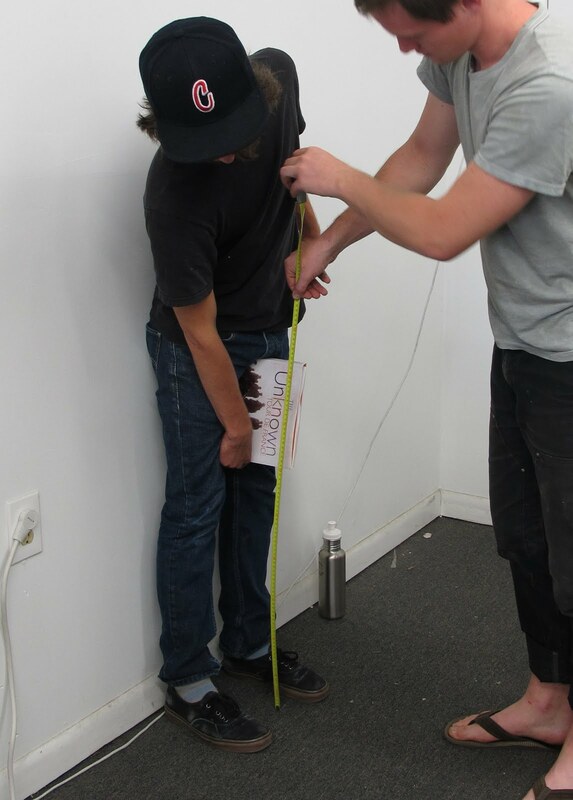 It is shown for mock-up purposes. It will be replaced by the double version. Beth Holladay gets credit for the photos. 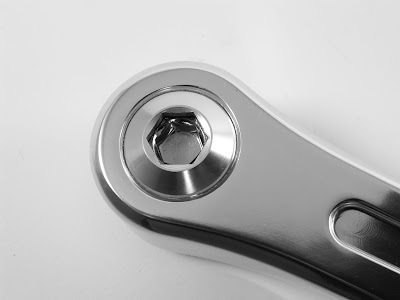 BTW, I think a BB 2mm spacer will solve the chain issue. Aaron did a very nice job building a Polyvalent for his wife and is looking forward to building one for himself. There are more photos on flicker. 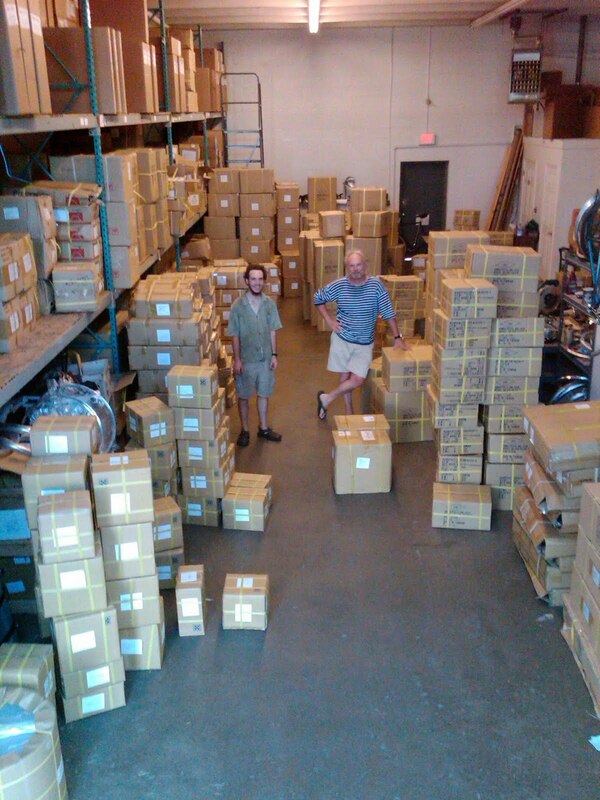 Thought you'd like this photo of part of our warehouse after receiving the last shipment. We'll be exhibiting at Interbike, in Las Vegas, in a few weeks. It's one of the three big industry bike shows, along with Eurobike and the Taipei show. 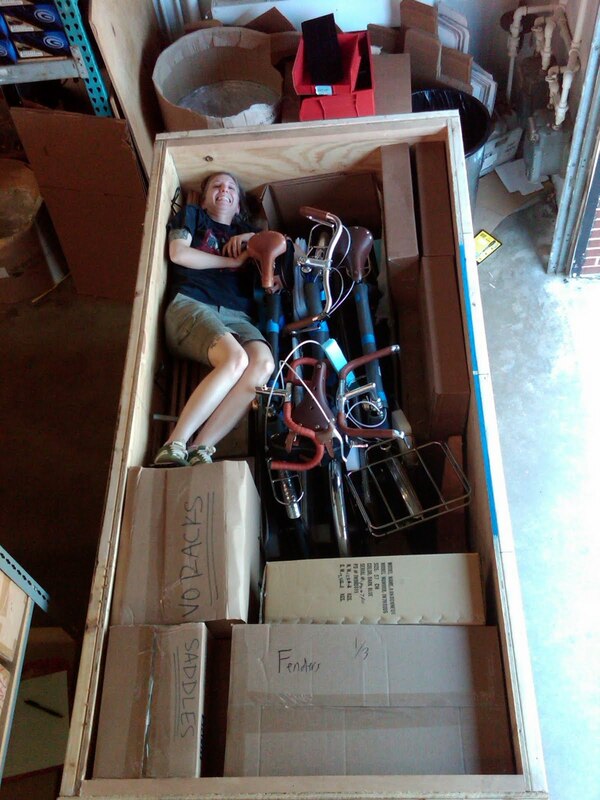 Amazingly, almost everything for our 20' x 20' booth fits into an 8' x 4' x 4' crate. Dia Compe has introduced a version of their inverse levers that fit most 22.2mm, MTB size, bars. 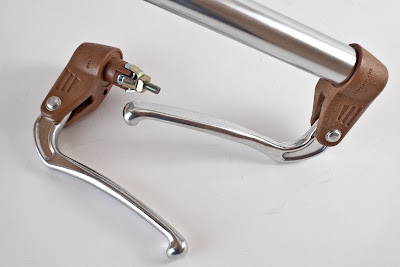 This is a big deal because you can now use inverse levers on many standard-size city bars. I'd asked the president of Dia Compe about making these last year, and he told me that other had also requested this new model. That's not surprising; I expect they will be very popular.. 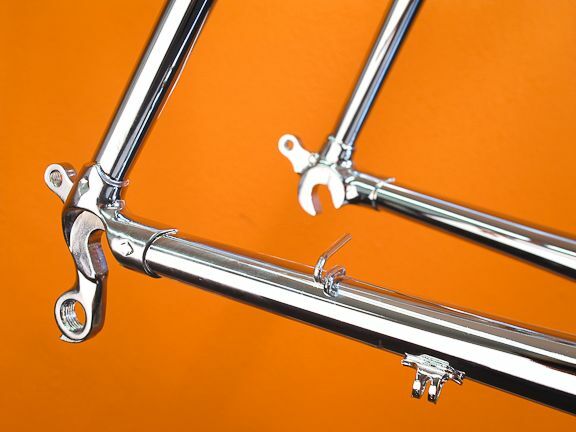 Installation of these levers is a little tricky because they are a tight fit in the bars. 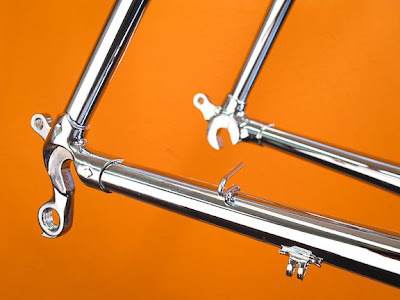 You'll actually deform the little metal tabs as you insert them, so some effort is required on bars made with thicker wall tubing. Also, we have wheel stabilizers again. And we just got a shipment of wheels, so some of the models we've been out of will be available again.